While most SHINE FROM WITHIN events are contracted privately, Paula is networking to spread the Nurtured Heart Approach® at public venues. 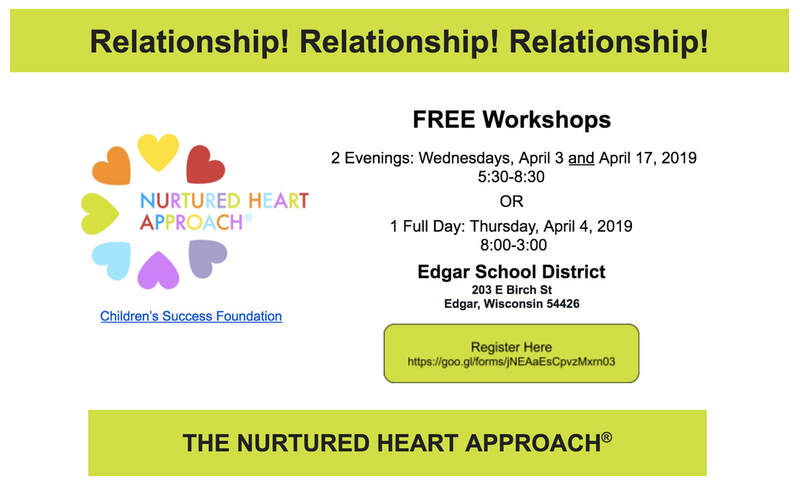 The Nurtured Heart Approach is a relationship model for inspiring kids to great behaviors. A fundamental error of conventional ways of parenting and school discipline methods is that children get so much more – more relationship and more connection with adults – when things are going wrong. Through NHA® , we learn what actions we take that might actually accidentally encourage challenging behavior and how to make simple shifts that change everything. The Three StandsTM of the Approach provide an accessible and established foundation for inspiring great behavior. ● Learn how to become more proactive in reading energy and showing up at the right time. ● Gain a deeper understanding about ‘intense’ behavior in children and youth. ● Participate in activities to help illustrate NHA concepts. ● Practice recognition techniques and resetting. ​Sessions offer opportunities for participants to share successes and then focus on a predetermined topic. ​Wednesday, September 19, 2018 - Fishbowl - Bring a Topic! ​Wednesday, December 12, 2018 - Fishbowl - Bring a Topic! Tuesday, March 12, 2019 - Fishbowl - Bring a Topic! Thursday, June 6, 2019 - Fishbowl - Bring a Topic! Your trainers are educators, parents, and certified Nurtured Heart Approach trainers who are donating their time because they believe in NHA. The trainers’ real-world success stories will make the Nurtured Heart Approach theory and techniques come to life. In addition, they will lead you through engaging experiential activities and processing opportunities to deepen your understanding so you can start to use NHA immediately after the training. They look forward to having fun and doing great work with you! ​See printable flier for more information.